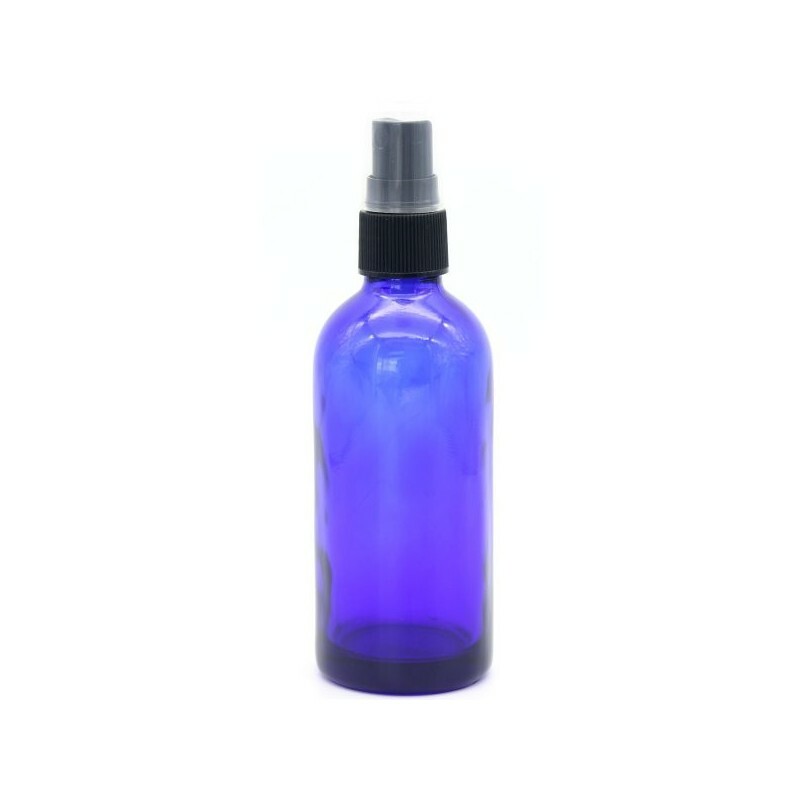 Make your own DIY cleaning products, body mists, perfumes or essential oil dilutions and store them in this lovely blue glass bottle. Comes with a spray nozzle to evenly disperse fine liquid. Coloured bottles protect the quality of your DIY concoction. One 100ml bottle. Handmade cobalt blue glass bottle body. Comes with a spray nozzle, including cap. Can be used to spray diluted essential oils (for aromatherapy or cleaning), scented room mist, facial or body mist, cleaning concoctions or even just water for a refreshing spritz. 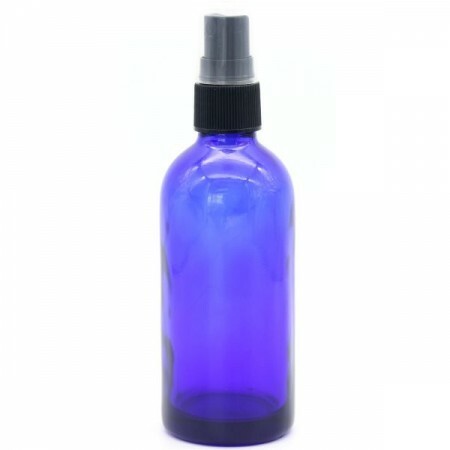 Cobalt blue glass bottle body, plastic spray nozzle with cap. 100ml bottle. 20mm diameter neck, 14.5cm (H) x 3.8cm (W). Clean before use, pour in your mixture, shake if needed, and spray. Take care as the glass bottle may break on impact if dropped or crushed. The glass is sturdy, and the nozzle sprays properly. I use it for rubbing alcohol and it works a dream. I sent my husband to buy one of these in a Biome shop last week so I found it it will some home made magnesium oil. I was expecting the bottle to be little heavier, but was pleasantly surprised to find that it was nice and light and a good size to be popped into carry-on luggage when flying. The colour of the bottle also looks a bit more cheery sitting in my bathroom than the amber coloured option. I am glad to get this bottle so that I don't have to use plastic spray bottle any more. I will use for cleaning.